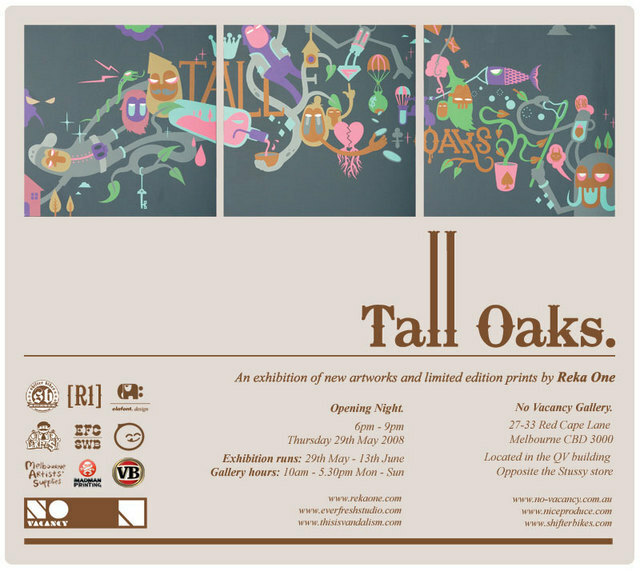 After his successful Tall Oaks exhibition in Sydney, Reka is touring this collection back to his hometown, Melbourne (Thurs 29th May 08). In this collection, the core focus is on the fragile relationship we have with nature. Themes such as Love, Hate, Life, Death, Greed and Charity have been explored with influence from Folk-Lore and Fantasy styled illustration.